That's similar to my parents setup. 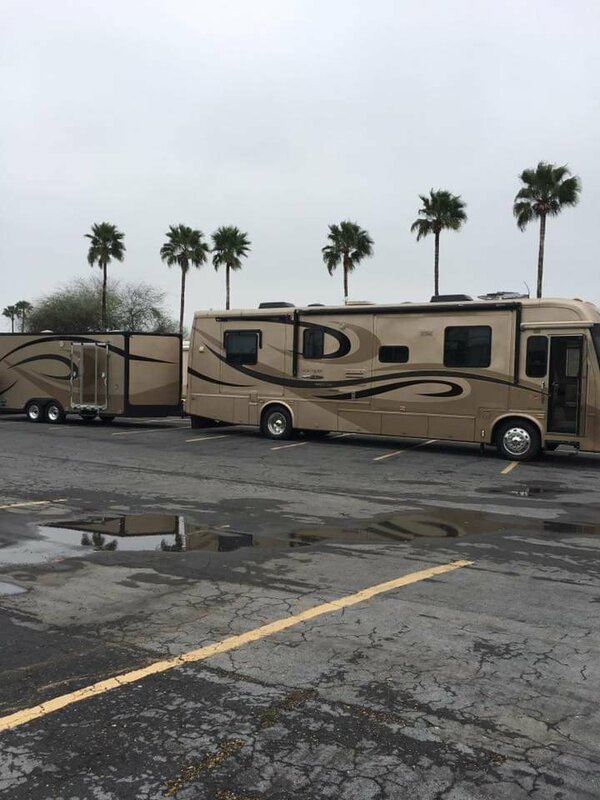 They have a matching 24ft car hauler to haul their jeep and Harley around with them doing the Canadian snowbird thing wintering in Arizona and Texas. They enjoy going out in the backcountry in Arizona checking out the old mining trails. They just got back yesterday after leaving in October. I know how that upgrade thing goes. I'm now in a Dynamax 40' super "C" and love it. There has to be a stopping point on these RV upgrades and I may have reached mine. I hope you enjoy the hell out of yours. It's a great way to travel and see the country. I love Dynamax coaches, I've never driven a super C, but think I would be more comfortable in one than a class A, there isn't much protection in the front of an A and I just like driving a truck type cab since it's more familiar. Yea, that and access to the engine were the two main reasons for going the class "C" route. I've never owned an "A" but drove quite a few and I and my wife just felt safer in a "C". It is a little bit noisier though but it's a good noise if you know what I mean. I suppose it's just what we're used to. Our engine access isn't too bad, big doors in the back & two hatches above, one in the closet & one between the bed & the closet, but compared to yours it ain't great. My friend has a coach with horrible engine access. We do have a side radiator, that makes a big difference too.